And They're Not All Just Casseroles! Freezer meals can really make life easier for busy families. With these recipes for satisfying, nutritious make-ahead meals, you can skip the supermarket convenience foods and put down the takeout menus. From hearty stews and baked casseroles to healthy turkey burgers and stuffed peppers, these great-tasting freezer recipes will be loved by every member of the family. Trust us, get prepping now and we promise you'll thank yourself later. 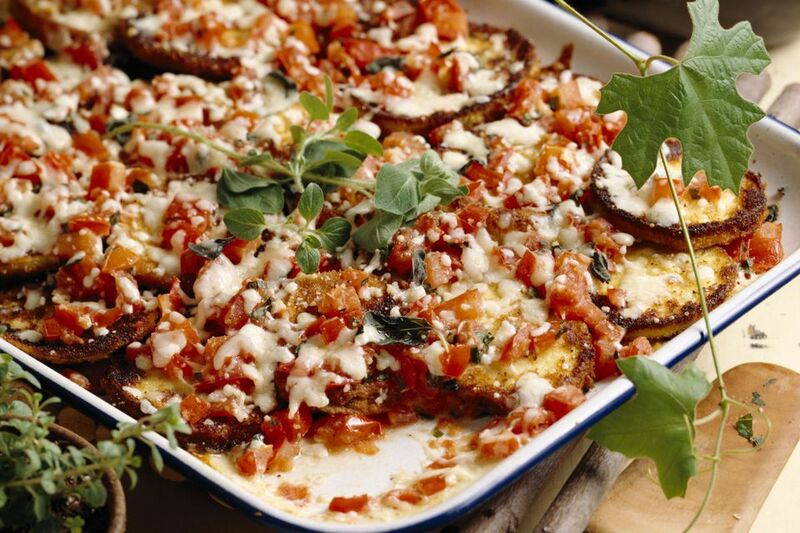 Eggplant is quickly fried, then layered with tomato sauce, two kinds of cheese, and pantry spices in this classic Parm. If you like crispier eggplant, dip the pieces into beaten eggs and coat with breadcrumbs before frying. Freeze individual portions for easy microwave reheating. Make your own freezer spaghetti sauce with this hearty recipe, which calls for Italian sausage, tomatoes, mushrooms, bell peppers, onion, garlic, and dried herbs. Pack it into plastic containers and store for up to 3 months. Defrost and spoon over pasta when you need a satisfying weeknight meal in a flash. This mildly-spiced chili with loads of beef, beans, and chopped bell peppers is always a hit. You can freeze it in sealed plastic containers and simply heat to to a rolling boil on the stovetop when in need of a hearty weeknight dinner or Game Day snack. Serve topped with grated cheddar, sour cream, or chopped cilantro. Whip up this homemade baked pizza casserole with ground beef, plus your favorite vegetables and herbs, for a satisfying everyday meal. The recipe includes suggestions, but feel free to add your favorite pizza toppings to the mix, from crumbled sausage and cooked bacon to chopped spinach, sliced mushrooms, and even jalapeno peppers. Pineapple flavors the sweet and sour sauce in this popular family dinner that cooks in just 40 minutes. Chopped water chestnuts giving the meatballs a nice little crunch. Freeze meatballs together with the sauce for easy defrosting and reheating in the microwave or oven. Canned tuna, vegetables, noodles, and a creamy sauce are baked together with an easy breadcrumb topping in this family-favorite meal. It's also great for making ahead. Store in the freezer, wrapped tightly, until ready to reheat and serve. 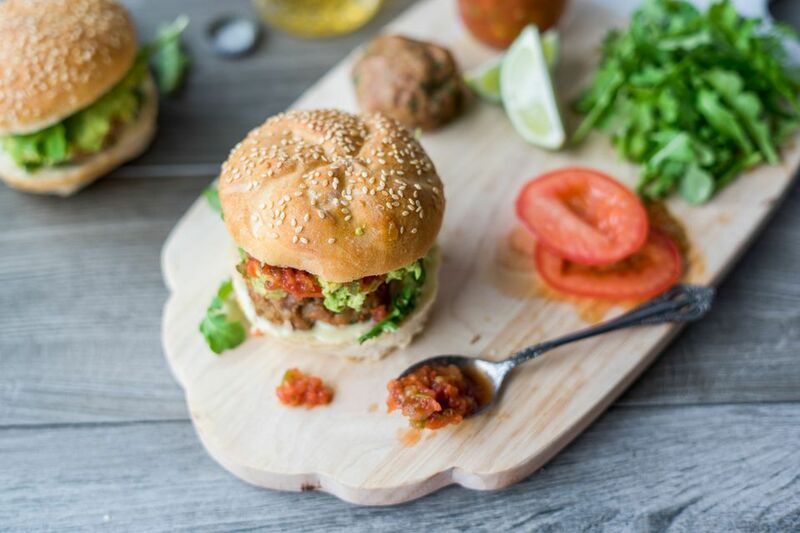 Juicy, oven-baked turkey burgers flavored with onion, garlic, cilantro, and lime juice, are a low-fat, lower-calorie dinner option. To make them for the freezer, form the unbaked meat into patties and drop in sealed freezer bags separated with parchment paper squares. Reheat directly from frozen, cooking to an internal temperature of at least 165 F.
This Jamaican-inspired curried lamb stew made in the slow cooker gets a kick of heat from curry powder, cayenne, and fresh habaneros. Make it ahead and freeze for a taste of the islands anytime. Reheat in a saucepan on the stove, adding up to half a cup of water to prevent scorching. Bell peppers are lightly steamed, stuffed with ground beef, rice, cheese, and chopped vegetables, then baked in tomato sauce until tender. Freeze stuffed peppers in a dish covered with tinfoil and wrap in plastic wrap. Reheat straight from the freezer. Everyone is going to swoon over this traditional Indian dish. The rich sauce is made from pureed tomatoes, heavy cream, butter, and lots of onion, garlic, ginger, and spices. Freeze in airtight plastic containers, reheat on the stove, and serve over hot basmati rice. Lentil soup is a restaurant favorite and this budget-friendly recipe delivers all the great flavor you expect. Pour into zip-top bags and lay them flat in the freezer to save space. When ready to serve, simply reheat and top bowls with chopped fresh parsley or cilantro for a fresh zip. Lasagna roll-ups made with a fresh basil and spinach pesto, sweet potatoes, ricotta, and mozzarella are a favorite with kids and adults alike. This is a great recipe to make and freeze when basil is in season, so you can enjoy a taste of summer months later. Store frozen up to three months, for easy reheating in the oven. Chicken breasts are flattened, stuffed with basil, garlic, and mozzarella, then rolled in breadcrumbs and baked to juicy perfection in this elegant recipe. It's a great one to have on hand for impressing guests in case of a spontaneous dinner party. Freeze the chicken in airtight bags for easy oven reheating, but make the included mushroom sauce just before serving. The crock pot makes easy work of a succulent home-style pot roast braised in red wine. Vegetables roast along with the meat for a one-dish dinner and a simple gravy is prepped at the end of cooking. To freeze, slice the cooked meat and store in plastic containers together with the vegetables and liquid. Rich chicken enchiladas with cheddar, cream cheese, sour cream, and jarred salsa verde are a guaranteed crowd-pleaser. If making them ahead, bake them first, then allow to cool completely before wrapping tightly and freezing. Baked ziti is a popular Italian-American casserole that freezes well in a foil baking pan. Try adding browned ground beef or roasted vegetables to bulk up this easy pasta dish for growing kids. This old-fashioned Southern recipe uses a blend of pork and beef for a moist meatloaf, with Worcestershire and hot sauces adding spicy flavor. Make it ahead by wrapping the cooked dish—complete with baked glaze—tightly before freezing. Reheat in the oven when ready to eat. Store-bought pesto and grated Parmesan are the magic ingredients in this delicious baked chicken dish that's simple to make for your family, but tastes and smells just as comforting as a traditional roast chicken dinner. Be sure to leave enough time for marinating the chicken an hour or two ahead of cooking for a fantastic pay-off in flavor. Oven-ready noodles, quick sauteed vegetables, plenty of cheese, and jarred spaghetti sauce go into this tasty vegetable lasagna. Prepare it for the freezer by assembling just up to baking and wrapping tightly. To reheat, thaw overnight, then bake according to directions. An overnight marinade and low, slow crockpot cooking makes this beef brisket tender and juicy. To freeze it for enjoying later, cook the brisket completely, let cool, slice, and wrap tightly in foil. Freeze the gravy separately in an airtight plastic container.